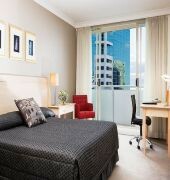 Located in the heart of Chatswood, Mantra Chatswood is a contemporary apartment style hotel. The hotel is ideal for overnight stays or for that extended visit, with all of our spacious one and two bedroom apartments offering a full kitchen and laundry. The hotel is close by to the major corporations of the North Shore and within a few minutes walk to the famous shopping centres of Chatswood, including Westfield and Chatswood Chase. 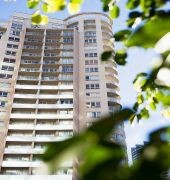 Conveniently located next to Chatswood Railway Station and Bus Interchange, Mantra Chatswood has easy access to both Sydney CBD and Homebush Bay Olympic Park. 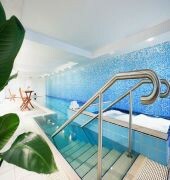 The MANTRA CHATSWOOD is a Tourist, Modern, Business, Leisure hotel. Located in City Centre area. 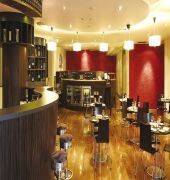 Shopping is within walking distance and the nightlife/restaurants are within walking distance from the hotel. 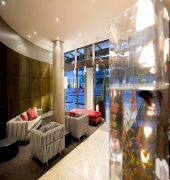 Descriptionclass="small" style="text-align: justify; font-size:11px;">Located in the heart of Chatswood, Mantra Chatswood is a contemporary apartment style hotel. The hotel is ideal for overnight stays or for that extended visit, with all of our spacious one and two bedroom apartments offering a full kitchen and laundry. The hotel is close by to the major corporations of the North Shore and within a few minutes walk to the famous shopping centres of Chatswood, including Westfield and Chatswood Chase. Conveniently located next to Chatswood Railway Station and Bus Interchange, Mantra Chatswood has easy access to both Sydney CBD and Homebush Bay Olympic Park. Very good, nice location close to the Chatswood mall with lots of shops and restaurants and the train station but they need to fix the elevators. They are very problematic and have been for a very long time. Booked a Queen room only to check in and have 2 single beds! Went to change the room to be told there were none available. EXTREMELY tired and MUSTY smelling room. Ended up sleeping (what little I got) on the couch as the musty smell was unbearable to be in the room. No ironing board or iron! Felt sorry for the staff who were clearly embarrassed...not their fault. Simply find somewhere else. No Managers response could change my view on this place. Fix it up, weâ€™re in a competitive world and this place canâ€™t compete! Thank you for taking the time to review Mantra Chatswood, we appreciate it but I am sorry you didnâ€™t enjoy your stay. Please contact me at the hotel if you would like to discuss further. Only 100 metres from Chatswood station, and close to all the offices, restaurants and shops of Chatswood, the hotel is superbly located. Unfortunately it is old and tired,and desperately in need of renovation. It is clean, but the washing machine was missing from our room, and the cutlery set was incomplete. Still comfortable, and parking available under hotel. Tired rooms and hallways that are in desperate need of an upgrade, difficult to access if you do not know where to drive in also not so helpful counter staff and a very average restaurant with slow/poor service. Thank you for your review, we appreicate it! I am pleased you like the location and we hope to see you again.